Protecting your home from the weather elements means you’ll need a roof that performs well. Installing a new roof on your Ypsilanti Michigan home can seem like a confusing subject to many home owners simply because it’s not something that is done often. In fact, most roofing materials will last more than 15 years. 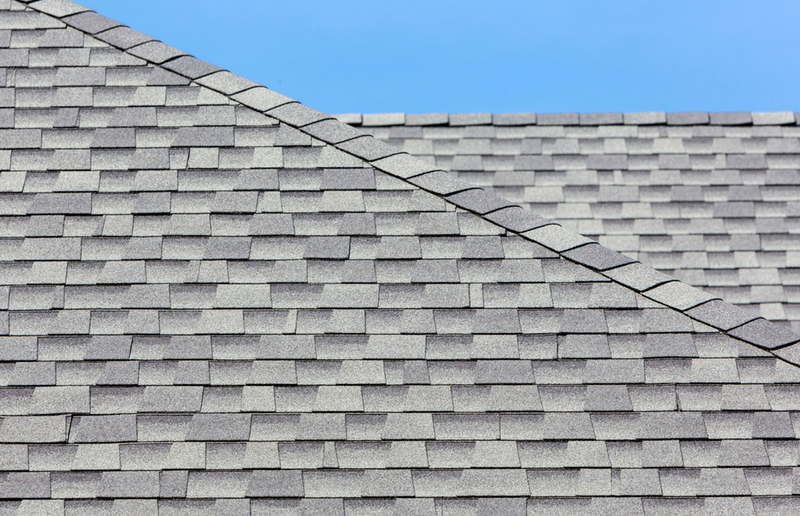 When you get a new roof installed there are many questions that you may be thinking about which we’ll go over in this article. And if you need roof replacement in Ypsilanti Michigan be sure to call us and speak with one of our roofing experts about your roofing project to get a free estimate and to answer any additional questions you may have. 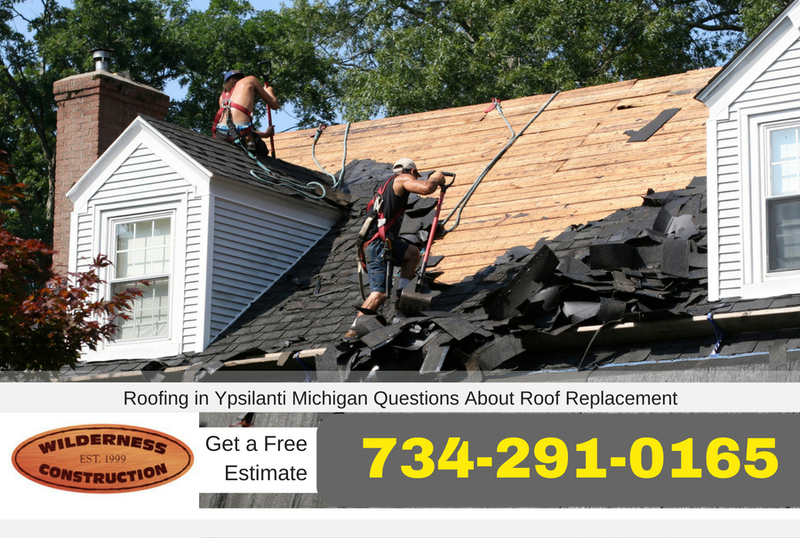 When talking with the roofing professional at Ypsilanti Roofing Company they may refer to your roofs size in squares. This is simply the size of the roof. ‘Squares’ as they are known in the roofing industry is 100 square feet of roofing surface on your home’s roof. Typically when a roofer makes an estimate or contract for the project it will list the number of squares that will be replaced on the home. The more squares your home has the more the roofing project will cost. Be aware that the roofing surface is what is considered when calculating the roof costs not the size of the home. Roofs that have more pitch will be larger roofing surfaces than lesser pitched roofs. Will My Insurance Pay for a New Roof? Depending on the reason why your roof needs to be replaced you may be able to have help with the cost from your home owners insurance. Some home owners insurance will also give discounts for new roof installations as well especially when you install roofing materials that are designed to better protect the home such as impact resistant shingles. This will usually vary depending on the insurance company you have. Be sure to talk with your insurance agent for information about it. As you can see the price of a new roof installation can vary depending on a variety of factors. You may have gotten prices on per square for the roof but in reality there are many questions that a roofing contractor needs to know before giving a quote on the roof. For instance, choosing to tear off the old roofing can have a major impact on the price when compared to re-roofing the home. Is It Better for the Home Owner to Buy Shingles and Materials? Sometimes home owners will want to buy their own materials for the project. It is totally your decision to do so however, not all roofing materials should be used together. For instance, certain GAF roofing systems will need all the components together and if one is left out or not used it can void the warranty on the roof. Many times, home owners actually spend more on the materials when attempting to secure roofing materials themselves. Is Financing Available for My New Roof Install? At Ypsilanti Roofing Company we can help with financing your new roof. Be sure to take a look at our financing page for more information or call our office to speak with a representative about your financing options that are available. Which Roofing Method Should I Use? The method used to install your new roof is entirely up to you. However, in Ypsilanti Michigan there is a limit on the number of layers of roofing that can be installed and that is 2. If your home has been re-roofed before you’ll need to have a complete tear off and installation of the home’s roof. How to Get an Estimate or More Information? Get a free, no obligation estimate on your roofing project in Ypsilanti Michigan by calling Ypsilanti Roofing Company at 734-291-0165. We offer free estimates and we can answer any additional questions you may have about your home’s roof.